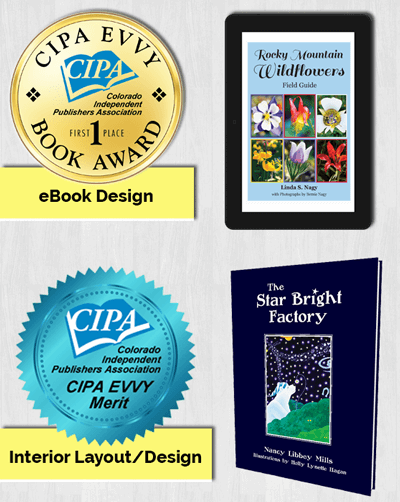 Thanks to my team who helped me produce an amazing award winning eBook for Linda Nagy’s book Rocky Mountain Wildflowers Field Guide. Winning first place in the eBook technical category – in the 22nd Annual CIPA EVVY Awards – among my peers is truly an honor. I was so sad I couldn’t be at the awards ceremony to accept this award in person here in Denver.